‘Microsoft loves Linux’ and this has never been so true than now. Microsoft today made its PowerShell scripting language and command-line shell available to the open source developer community on GitHub under the permissive MIT license. 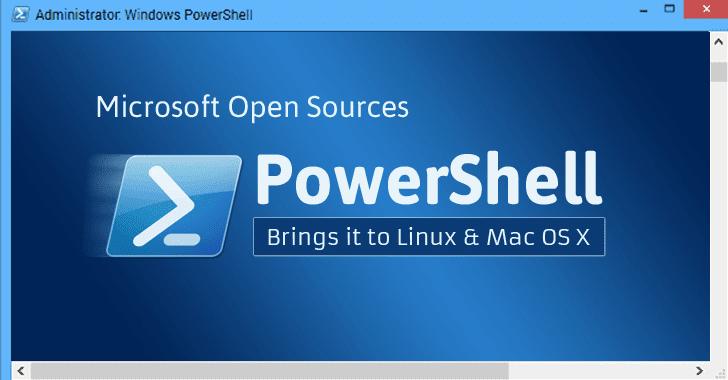 The company has also launched alpha versions of PowerShell for Linux (specifically Red Hat, Ubuntu, and CentOS) and Mac OS X, in addition, of course, to Windows. Now, people can download binaries of the software, as well as access source code of the app from the new PowerShell GitHub page. "Users across Windows and Linux, current and new PowerShell users, even application developers can experience a rich interactive scripting language as well as a heterogeneous automation and configuration management that works well with your existing tools," Microsoft says in its blog post. "Your PowerShell skills are now even more marketable, and your Windows and Linux teams, who may have had to work separately, can now work together more easily." PowerShell is Microsoft’s command line shell for Windows power users, and an extensible scripting language for automating system tasks. Microsoft is aware that the company now operates in a "multi-platform, multi-cloud, multi-OS world." Since PowerShell is built on Microsoft’s .NET platform, the company brought .NET Core, the version of .NET which runs cross-platform, to bring PowerShell to other platforms. Microsoft has already planned to ship PowerShell "Core" with Nano Server for Windows Server 2016, and the newly announced release will run on .NET Core on Mac as well as Linux. Although this recent release of PowerShell is Alpha-based and community supported, an official Microsoft version of PowerShell based on open source to anyone running a supported version of Windows will be published in the future, Microsoft notes.